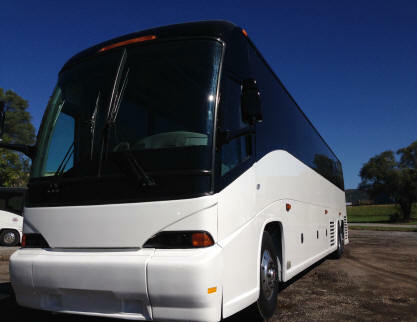 Stock: 14-088 -2009 FREIGHTLINER CUSTOM CLASSIC STARTRANS PRESIDENT. Engine: 6.7 Cummings Diesel. Seating: 24. Sold by dealer - Please call to verify specifics and for all other questions. 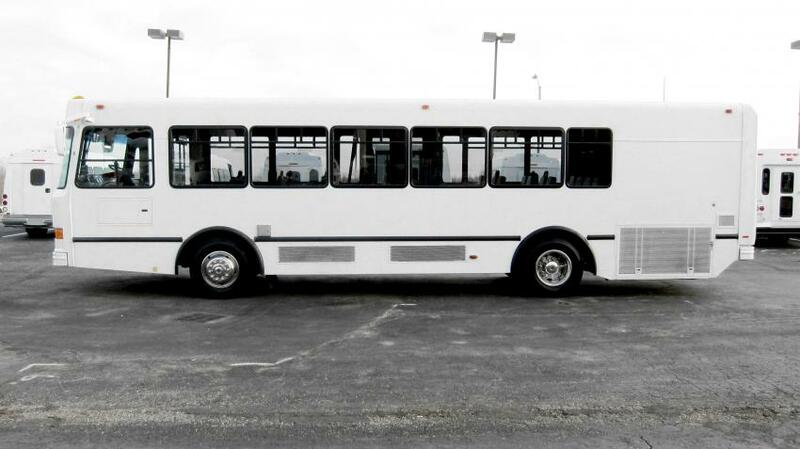 Stock: M-58192 - 2008 MCI D4505. Engine: CAT Diesel . Seating: 56. Sold by dealer - Please call to verify specifics and for all other questions. 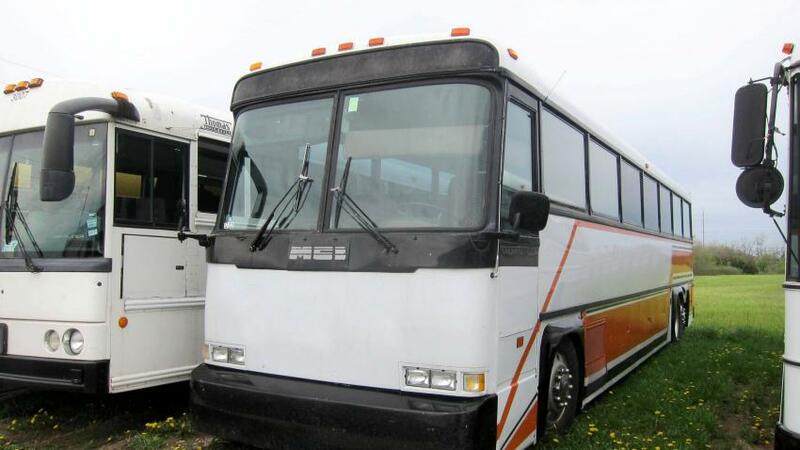 Stock: 12-325 - 1981 MCI MC-9 CRUSADER II. Engine: DT 8V-92 Diesel . Seating: 25. Sold by dealer - Please call to verify specifics and for all other questions. 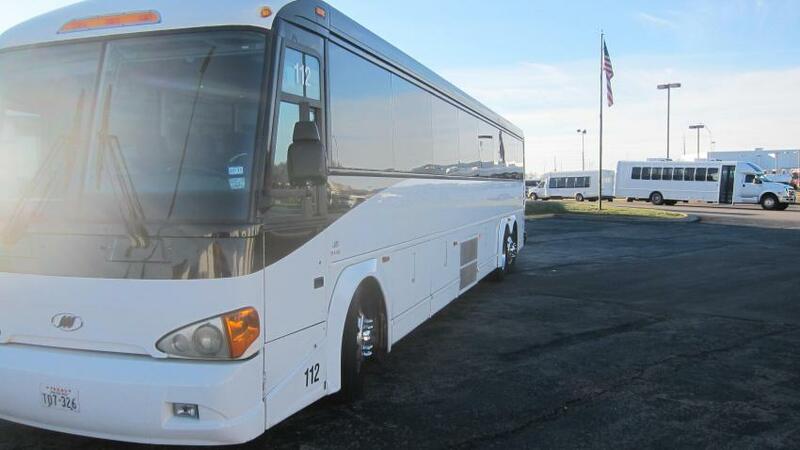 Stock: 12-188 - 2001 VAN HOOL T2145. Engine: 6.8L Gas . Seating: 45. Sold by dealer - Please call to verify specifics and for all other questions. 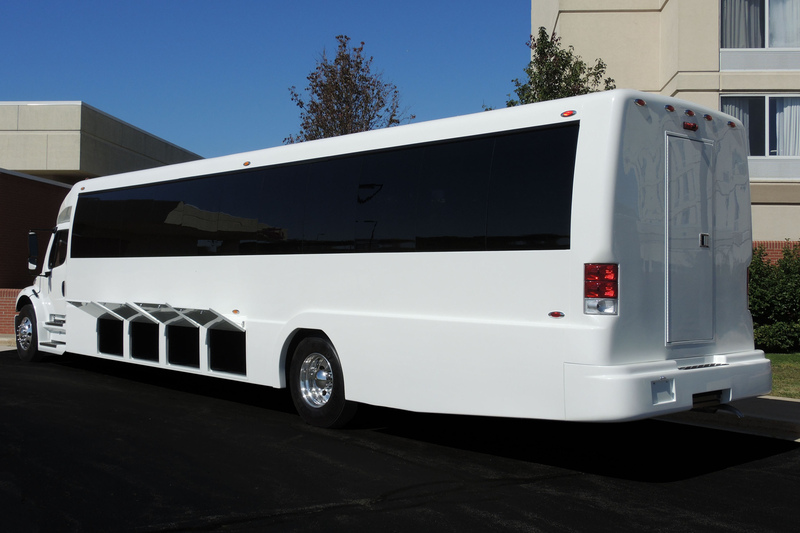 Stock: # 15-952 - 2015 Freightliner/Newport Coachworks Bus. Engine: 6.7 Diesel . Seating: 51. Sold by dealer - Please call to verify specifics and for all other questions. 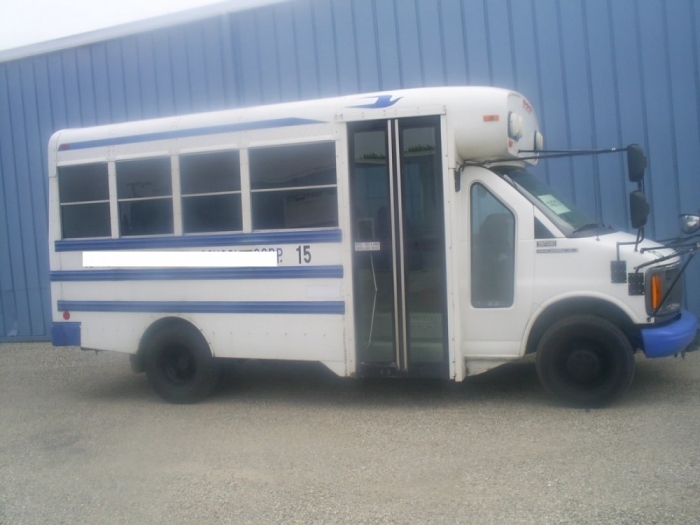 Stock: # 172- 2005 MCI J4500 Coach Bus. Engine: Cummins ISM 10.8-liter Diesel. Seating: 56. Sold by dealer - Please call to verify specifics and for all other questions. 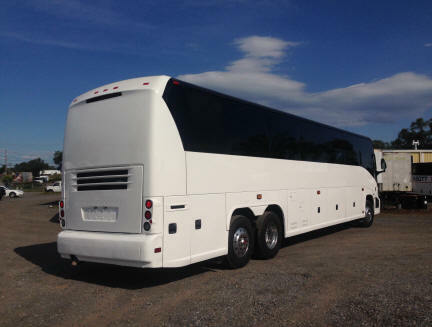 Stock: # 63023- 2005 MCI J4500 Coach Bus. Engine: Detroit Diesel Series 60. Seating: 56. Sold by dealer - Please call to verify specifics and for all other questions. 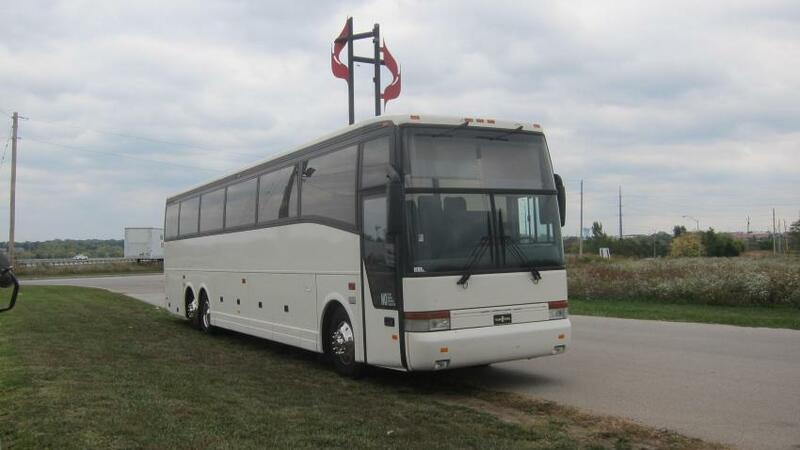 Stock: # 76- 2005 MCI J4500 Coach Bus. Engine: Detroit Diesel Series 60. Seating: 56. Sold by dealer - Please call to verify specifics and for all other questions. 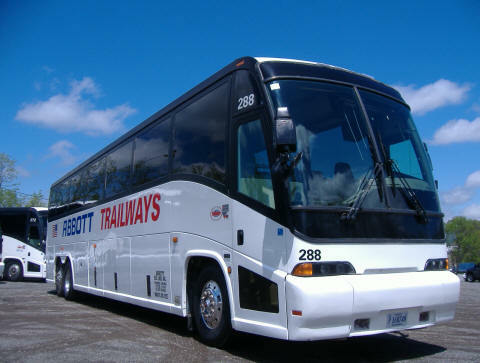 Stock: # 288- 1998 MCI 102DL3 Coach Bus. Engine: Detroit Diesel Series 60. Seating: 56. Sold by dealer - Please call to verify specifics and for all other questions. 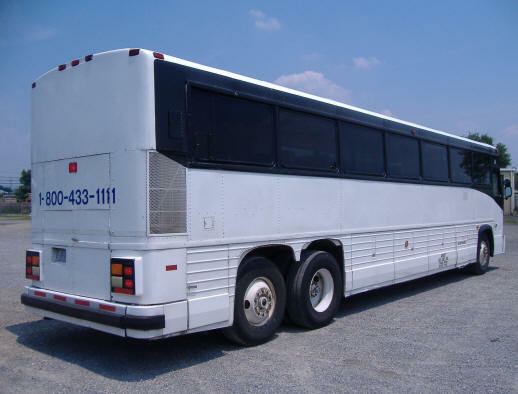 Stock: # 14213 - 2001 Gmc/Bluebird Bus. Engine: 6.0L V8 Diesel. Seating: 14. Sold by dealer - Please call to verify specifics and for all other questions.